Wen Wei Wang began dancing professionally in China in 1978. In 1991 he came to Canada where he was invited to join the Judith Marcuse Dance Company, Les Grands Ballets Canadiens and Ballet BC. In 2000 he received the Clifford E. Lee Choreography Award and the Rio Tinto Alcan and Isadora Awards for Choreography. In 2003, Wen Wei formed his own company, Wen Wei Dance, which has now toured across Canada. They have also presented original works at the International Dance Festival in Vancouver, the Dancing on the Edge Festival, the Canada Dance Festival and the International Contemporary Dance Festival in Colombia, South America. The company has also been invited to perform at the Venice Biennale Festival in Italy, the Beijing National Performing Arts Centre and the Shanghai Grand Theatre with the Beijing Modern Dance Company in China. Wen Wei has choreographed eight full-length works for Wen Wei Dance as well as created original works for Alberta Ballet, Ballet Jőrgen, Ballet BC, Ballet Kelowna, North West Dance Projects, Les Ballets Jazz de Montréal, Arts Umbrella and Simon Fraser University. He has also choreographed the dance sections for the Vancouver Opera and the San Francisco Opera for their piece Nixon in China. 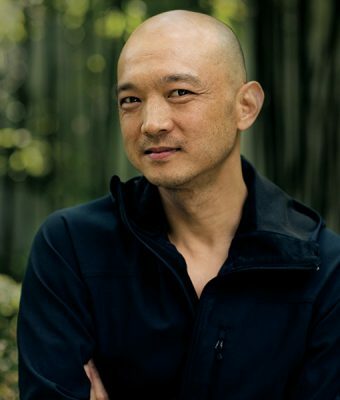 In 2013, Wen Wei was awarded the RBC Top 25 Canadian Immigrants Award and recently worked with the China National Centre for the Performing Arts for its production of Hamlet.